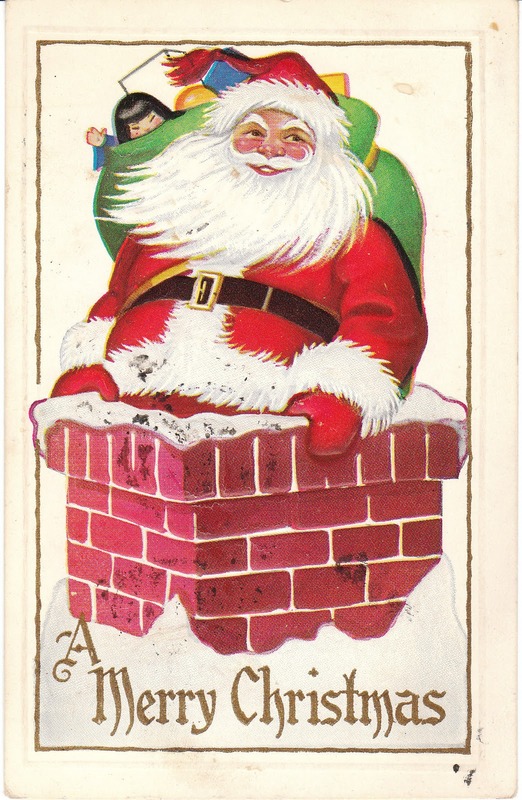 This has been a long - but fun - day of researching and listing vintage cards. I have Christmas postcards, Christmas cards, photo cards, and even Christmas seals. 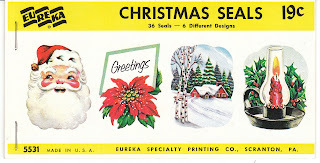 They're all going online tonight in my store: click here to visit the Christmas department at Birdhouse Books! I wanted to share a few photos with you. 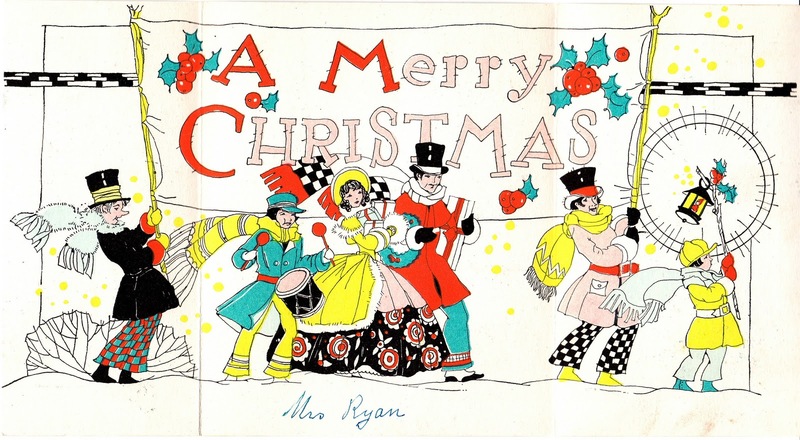 This fabulous 1920's Art Deco card folds out into a parade. It reminds me a bit of the illustration style of John Held - absolutely lovely! I think this is my personal favorite. 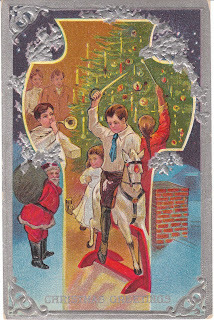 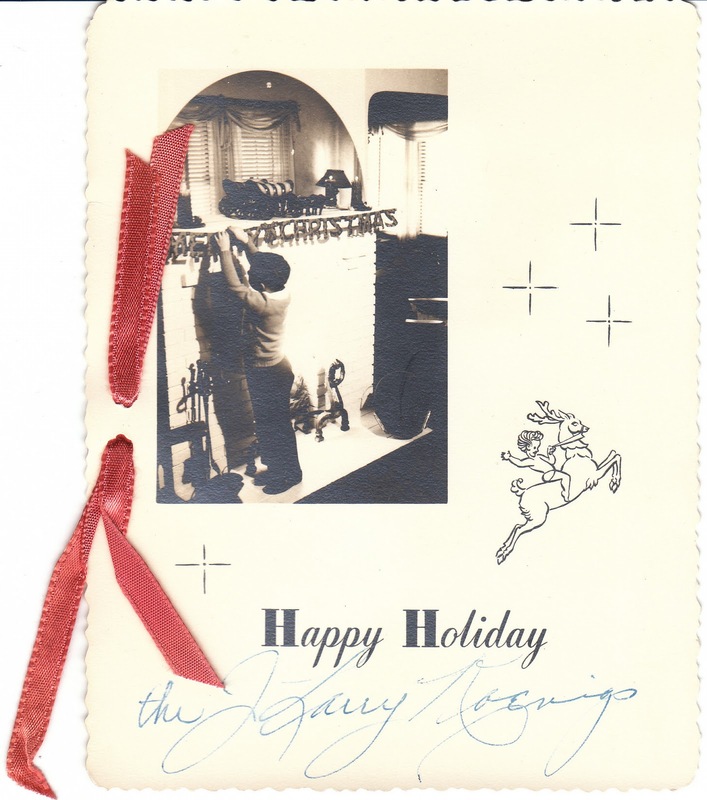 In this early 1900's vintage postcard, children play with their new toys including a hobby horse and a bugle by their beautiful, old fashioned Christmas tree. 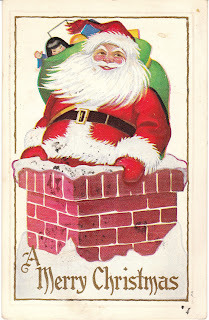 Santa Claus peeks in on the left bottom corner of card. 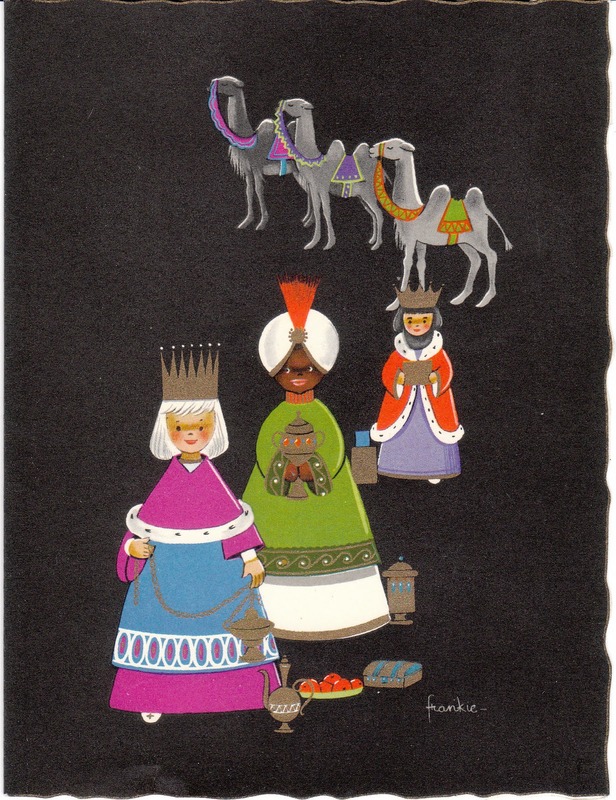 This charming 1960's vintage West German card features the Wise Men and their camels against a black background - very unusual design! 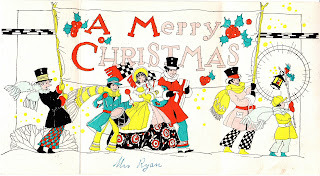 Another of my personal favorites! 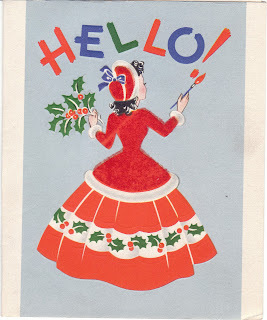 A glamorous Mid Century woman paints a greeting, while wearing a red flocked coat. 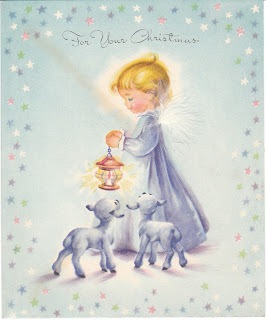 A sweet little angel is accompanied by lambs. 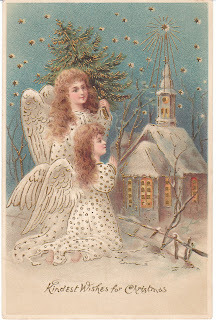 The angel's wings are made of feathers. The picture inside the card shows the angel and lambs playing on the stars - lovely! 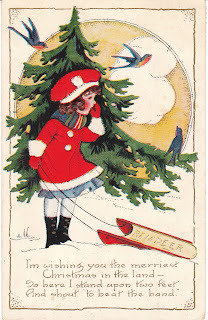 This lovely three-dimensional card has a winter scene of a Christmas tree surrounded by old fashioned people. It stands up and is so pretty!